Jumpstart your online visibility with a Search Engine Marketing investment. If you’re looking to showcase your company to an audience that’s actively searching for businesses that do what you do, Paid Search Engine Marketing Search Engine Marketing can be the most targeted and effective way to boost your business online. 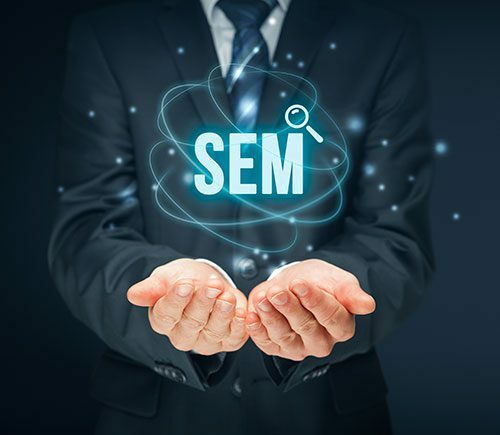 When you invest in SEM, you can take advantage of your company showing up in the top spots on a search results page and gaining authority in your marketplace. Our team are not only experts in Search Engine Marketing, but certified Google Partners to back it up. 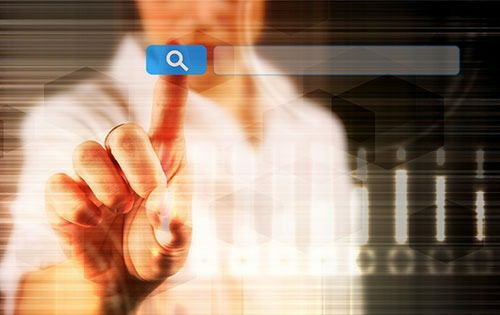 So what makes a successful Search Engine Marketing campaign? Just like Search Engine Optimization, it all starts with Keywords. Our team works directly with you to do the keyword research, gauge the competitivity of your keywords and creates a customized plan of attack best suited for your company’s success. We understand the value of your investment, and position you for rapid, measurable results. An integral part of doing the research for a successful Search Engine Marketing campaign comes from building an audience of people who are interested in what you do. We don’t believe in throwing money at it and hoping something sticks, so we do the legwork to ensure that every dollar invested into your campaign is spent to maximize your return. Once we’ve identified and begun advertising to your audience, we can effectively retarget that audience to help ensure your advertising stays top of mind. We maximize your investment with ads that continue to show potential new customers that you ARE the company they are looking for. We provide the most up-to-date and accurate reporting possible regarding your campaign, often in real time. Our team is dedicated to getting your business results, and we can confidently say we are experts in getting those results with Search Engine Marketing. We shorten the onramp to success by finding the most appropriate keywords at the most effective price. Your SEM investment will be money well spent. We don’t do “fingers crossed” with Search Engine Marketing. We lay out a thorough game plan and strategically execute that plan for your success. If at first we don’t succeed, we don’t just try and try again. We re-engage customized audiences with a greater potential to turn into new customers. It’s just as important to us that we have measurable data to look to for a successful campaign. We keep you in the know at every step of the cmapaign. You know what they say… the best place to hide a dead body is on page 2 of Google. We love helping people breathe new life into their web presence. We really do.